Hello everyone, today we’re going to be taking a look at some of the most popular Sekonda gent’s chronograph watches for men. 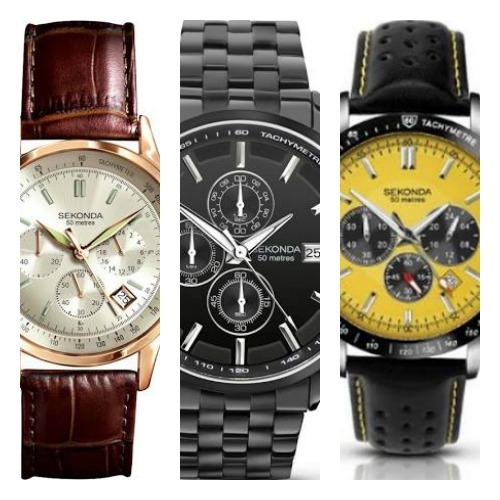 This is just a small sample of the many affordable Sekonda watches available. Sekonda are one of the biggest selling brands in the world with a huge selection of designs and styles available. 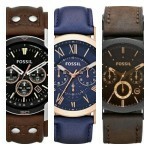 In today’s list I wanted to focus on just a small selection of some of their most popular chronograph men’s watches. 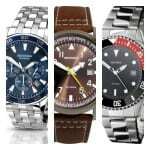 These are all classed as affordable Sekonda watches in my opinion and should be within most people’s budgets. If you have any questions about any of the Sekonda chronograph watches featured in today’s list just comment below and I’ll try and help you out as soon as I can. For now, enjoy today’s list. First up on our list of the best men’s sekonda chronograph watches is this popular white dial quartz edition. This model is built with a round stainless steel casing that has a diameter of 43mm and a thickness of 13mm. The strap is also made of stainless steel and fastens with a fold over style clasp. The dial is in white with silver coloured hands and baton style hour markers. There are also 3 small chronograph sub dials on display finished in black as well as a small date display at the 3 o’clock position. This men’s Sekonda chronograph watch is powered by a quartz movement for reliable and accurate movement. Extra features include a 50m water resistance rating and a mineral crystal glass for a good level of scratch resistance. You can read my full 1155 Sekonda chronograph watch review here soon. Up next we have the Sekonda 3847 men’s chronograph watch. This model features a rose gold PVD plated steel casing that has a diameter of 42mm and a thickness of 13mm. This is paired up with a soft genuine leather strap in brown the fastens with a buckle style clasp. The dial of this men’s chronograph watch is finished in a silver colour with rose tinted detailings for the hands and date function surround. There are 3 chronograph sub-dials also on display. 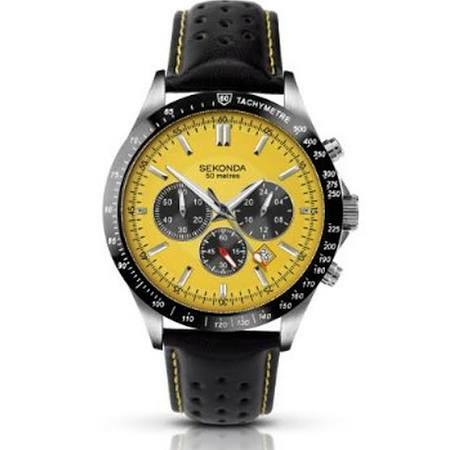 Powering this Sekonda chronograph men’s watch is a Japanese quartz movement for accurate and reliable timekeeping. Extra features also include a 50m water resistance rating and a mineral crystal glass for a good level of scratch protection. You can read my full 3847 Sekonda chronograph watch review here soon. 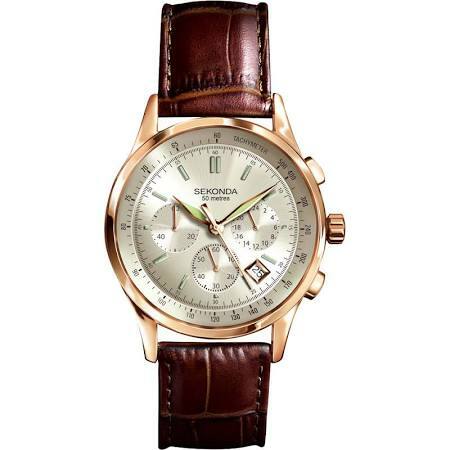 Here we have another popular affordable Sekonda chronograph watch for men. This model is built with a 43mm stainless steel casing that has a diameter of 11mm. The strap is also made of a sturdy stainless steel and fastens with a fold over style clasp. 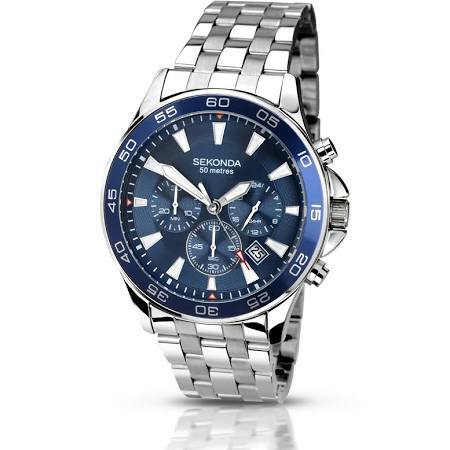 This Sekonda chronograph men’s watch features this stunning blue finish to the bezel and dial. The hands and hour numerals have an easy to read design with their high contrasting finish in white. There are also 3 chronograph sub-dials as well as a small date function to be found on the dial. Powering this men’s affordable sekonda watch is a Japanese made quartz movement for both reliable and accurate timekeeping. It also features a 50m water resistance rating and a mineral crystal glass protecting the dial. You can read my full 1058 Sekonda chronograph men’s watch review here soon. 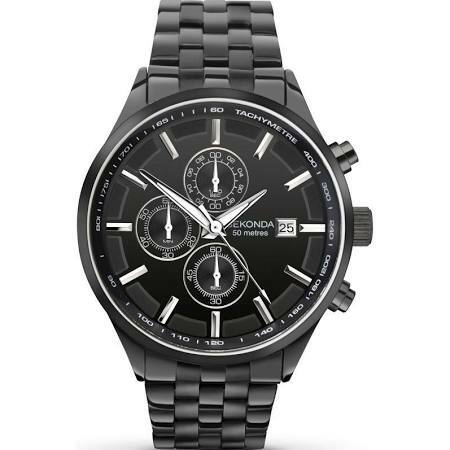 Up next on our list of the best men’s Sekonda chronograph watches is this popular black coloured timepiece. The casing of this watch is made from a black ion-plated stainless steel that has a diameter of 44mm and a thickness of 13mm. The strap is finished in the same black colour and is made of stainless steel. It fastens with a fold over style clasp. I love the love of this high visibility contrasting black and white dial. The hands are very easy to see set against the black backing of the dial. There are also 3 chronograph sub dials on display as well as a small date function at the 3 o’clock position. Powering this men’s Sekonda chronograph watch is a Japanese made quartz movement that offers reliable and accurate timekeeping. The watch has a 50m water resistance rating and a mineral crystal glass protecting the front of the watch. You can read my full 1158 Sekonda chronograph men’s watch review here soon. 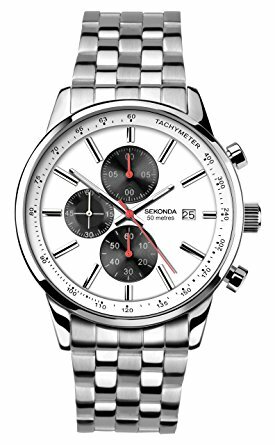 Last but not least on our list of the most popular Sekonda chronograph watches for men is this interesting looking sports style watch. This model is built with a large 44mm stainless steel casing that has a thickness of 11mm. The strap is made of a perforated comfortable genuine leather strap that fastens with a buckle style clasp. The dial has this fantastic yellow colouring that really makes it stand out on your wrist. This goes really well with the gloss black bezel that features the tacymetre display on it. The hands and hour markers have a silver coloured finish to them which works well in my opinion. There are 3 chronograph sub dials as well as a small date display found on the dial of this watch. At the heart of this men’s Sekonda chronograph watch is a Japanese made reliable quartz movement that gives you accurate timekeeping. Protecting the dial is a mineral crystal glass that can resist scratch marks. This affordable Sekonda sports watch also has a 50m water resistance rating. You can read my full 3378 Sekonda chronograph men’s watch review here soon. 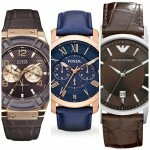 Thanks for taking the time to read through today’s list of awesome Sekonda chronograph watches. What was your favourite model in today’s list? Comment below and let me know.